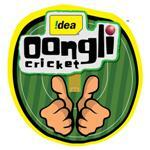 Idea cellular has come up with a new campaign called ‘Idea Oongli Cricket’, this summer. During this campaign question based on the events and happenings of the ongoing match of the day will be asked. ‘Idea Oongli Cricket’ can be played by all mobile phone users by SMSing their answer to ‘9594939291’. The number is toll free for Idea subscribers, and standard messaging rates apply for other mobile subscribers. All Idea customers who send in the correct answer will get Idea VAS Packs for three days and participants using other operators will win VAS Packs for one day. Idea Cellular has planned a complete 360 degree campaign with TV, print, radio, digital and outdoor media. The new teaser campaigns already running on Television have been urging people to keep their fingers in good shape as ‘Idea Oongli Cricket’ is coming. The new format of the Game will allow millions of mobile users in India to participate in this campaign. Idea Brand Ambassador Abhishek Bachchan along with other celebrities and cricketers will appear on TV, in this campaign.